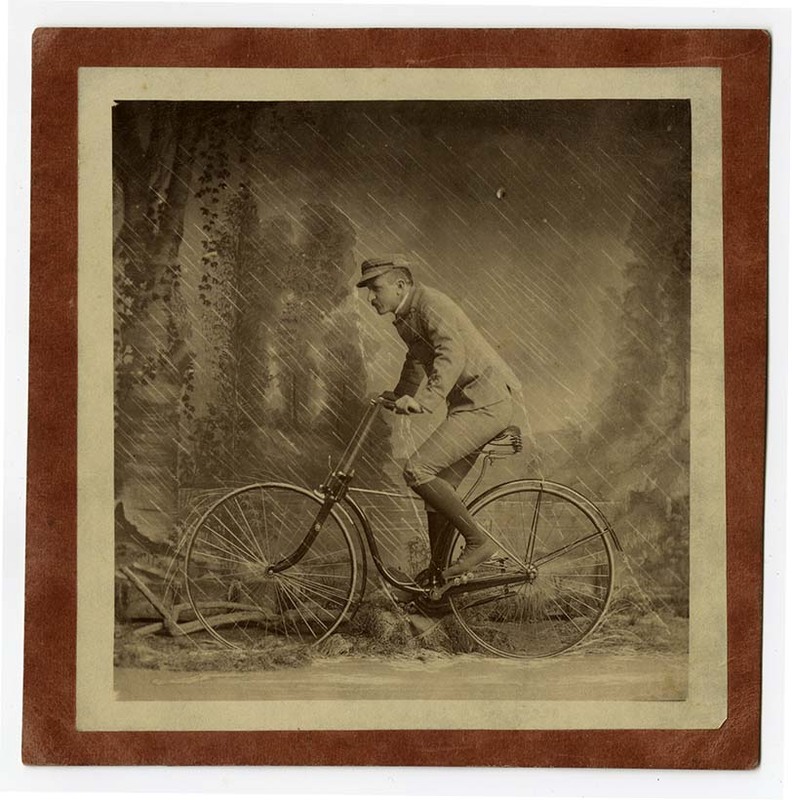 The Bay City Wheelmen, in the 1850s, took pride in how they toured under difficulties. Just like cyclists do today, on gravel or adventures rides like in Leavenworth, Dirty Kanza, or Rebecca’s Ride in Sun Valley. 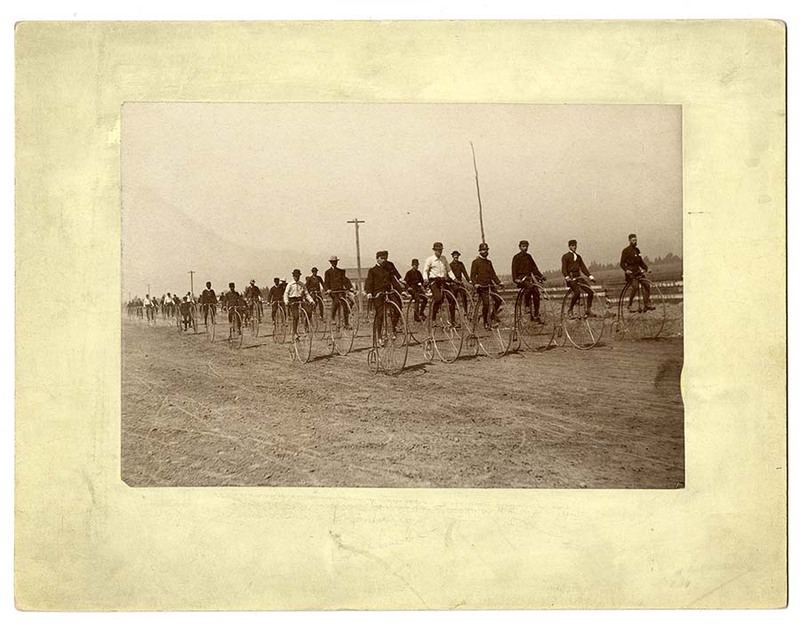 Here another group ride is seen 6 abreast on gravel, like the Tour of California in 1850. While another stops to cool down at a roadhouse. 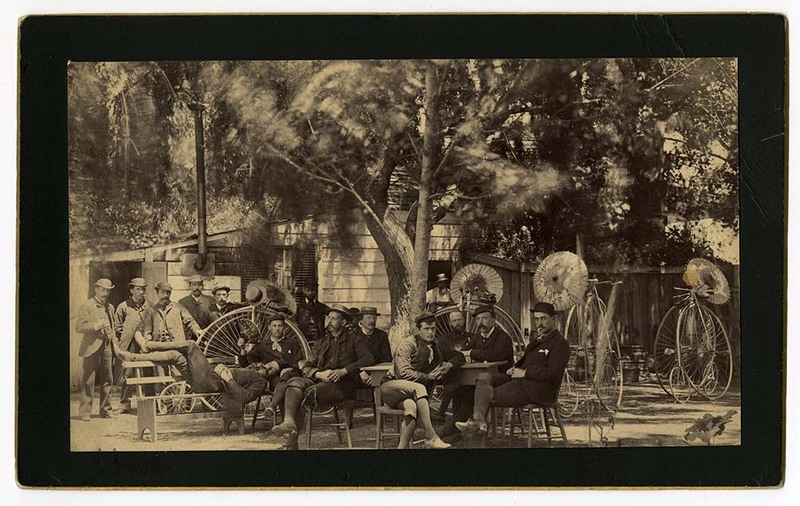 Photos from the California Historical Society’s Bicycling photographs and ephemera album on Flickr. HT Rebecca Onion.